Back in the early 90s, a new industry started releasing its products onto the market. These products promised to revolutionize the agricultural industry by increasing yields, reducing the need for pesticides, increasing saleability of crops, and thereby ending world hunger. Unfortunately, after 20 years of genetically modified crops those claims have yet to come true. One of the first GMO foods to hit the market was a tomato. Tomatoes, natural ones, tend to get softer as they ripen, and those that aren’t sold quickly on grocery shelves often are too soft and are unsaleable. There was a market demand for a tomato that would stay firmer longer and not lose its color and aesthetics. A genetic modification was done to a tomato by using a gene from a fish and named the “Flavr Savr”. Growers could allow it to fully ripen on the vine and it would remain in that condition much longer than the average tomato at the time. The company that produced the Flavr Savr lacked experience in actually growing and distributing the produce and could not make the company profitable and was resultantly sold to Monsanto. Today, Monsanto is undeniably the largest biotech company in the world. It controls roughly 90% of the GMO market, along with the lion’s share of a number of sub-markets in the global agribusiness industry including pesticides, herbicides, livestock growth hormones, etc. The marketing for GMO foods has people believing that GMO foods can do anything from add prescription drugs into bananas to plants that can become super plastics. While these are future developments that scientists are working on, the current reality is that the great majority of GMO modifications are for one purpose: creating resistance to glyphosate. What is glyphosate? It is the most popular broad-spectrum herbicide in the world. Its most popular brand name is Roundup, owned by the Monsanto corporation. According to the EPA, in 2007 the amount of glyphosate used in agriculture alone was 180 to 185 million pounds which equates to roughly half a pound for every man, woman, and child in the entire US. It was originally patented as a descaling agent for removing mineral residues in appliances like dishwashers. It was an accidental discovery that glyphosate was such a powerful herbicide. Since the 1970s, it had been Monsanto’s most popular product. One of its drawbacks, however, was that it was also harmful to the crops, not only the weeds. This is why Monsanto’s primary focus in GMO foods was to engineer crops that would withstand glyphosate. These GMO crops were designated “Roundup Ready”. Since the mid 90s, Monsanto has developed Roundup Ready soybeans, corn, sugar beet, and cotton. These foods have not been sufficiently tested to determine if there are any negative health consequences for their use and what negative effects they may have on wildlife and the environment. There is a very specific reason why almost no research has been published on the health effects of GMO foods. The reason is that GMO crops are not considered natural substances, but intellectual property. Because these GMO foods are considered to be commercial products protected under patent and intellectual property laws there are a number of large barriers that prevent independent and unbiased information from being published about these GMO products. If an independent laboratory wants to conduct its own tests on a certain GMO product, they must first obtain permission from the company to use the products in the test. Assuming this permission is granted, they must then get a separate permission to publish those results. This creates an obvious bias. The only studies that the manufacturers will allow are ones they have conducted themselves, or those that show favorable results. One of the only times that an unfavorable result of a GMO study has been published was in 1998. A small biotech company in England was developing a potato that produced its own pesticide. They contracted with a publicly funded research institute called the Rowett Research Institute. A series of studies were going to be conducted on various forms of these potatoes to figure out which ones were going to be the most commercially viable and if one of the varieties tested was eventually sold commercially, the research institute would share in the profits. The studies were animal studies where the GMO potatoes were fed to rats for both short term and long term periods: 10 days and 3 months respectively. There would be two groups, one group fed the GMO diet and another on un-modified natural potatoes of the same breed. 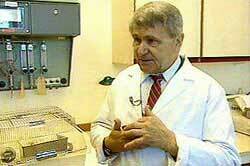 The man hired to lead the study was a Hungarian scientist named Arpad Pusztai. He was a man in his 60s who had worked for the Rowett Institute for well over 30 years and was considered a world-renowned expert in lectins. The potatoes insecticide mechanism was through a lectin from the snowdrop plant and thus Pusztai was a more than qualified candidate to lead the study. Two weeks before the completion of the study, Pusztai did a television interview for the program World In Action that was doing a segment on GMO foods. In the interview, Pusztai revealed unpublished information about the study, mainly the negative effects the GMO potatoes were having on the rats including stunted growth, suppressed immune systems, and more safety research was required. He said, “If you gave me the choice now, I wouldn’t eat it”, and it was “very, very unfair to use our fellow citizens as guinea pigs”. Needless to say, the entire industry was in an uproar. The doors of controversy had been flung wide open. The Rowetts Institute suspended Pusztai, claimed misconduct, seized his research data, banned him from speaking publicly, and did not renew his annual contract (effectively firing him). Though the institute tried to keep a lid on the research data, eventually it was published and heavily scrutinized by both sides. The GMO camp claimed that the study was heavily flawed, poorly conducted, and completely inconclusive. The other side said it was ethically conducted, completely standard, and the results clearly indicated a need for further safety studies. The fact is that a man with everything to lose revealed to the public that these products could easily be harmful to humans and that there is a massive shortage of safety research, even to this day, about the actual health effects of GMO foods. A recent study, however, conducted in France and published in the Journal of Food and Chemical Toxicology, found that rats exposed to GMO corn and glyphosate over the course of their entire lives, experienced breast cancer, large tumors, liver and kidney lesions, organ damage, and premature death. 50% of males and 70% of females in the exposure group died prematurely. 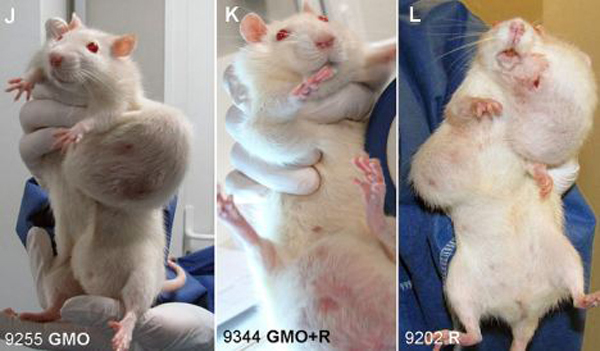 This was the first lifespan study conducted on animals fed GMO foods. Typical safety studies, such as those performed by and for the FDA to prove GMO safety usually only study animals for 90 days to ensure that there are no acute health implications from consumption. The French study also found that these health conditions only developed after 90 days. Even before this study was published, the European Union, along with China and Russia already have labeling laws that require products that contain GMO foods to be clearly labeled on the package. As a result, consumers often choose the non-GMO products and as a result GMO food crops in Europe are a fraction of that in the United States. In the US, over 90% of the corn, soybean, and canola crops are a GMO variety and there are no laws requiring products to indicate they contain GMOs. This may not be the case much longer, however. California is set to vote on Proposition 37 in the November 2012 ballot. It would require the majority of food producers to label GMO ingredients in their products. Though there are some exempted industries and products, i.e. restaurants, it is a strong step forward and would send a strong message to GMO manufacturers. In fact, if you look at the people donating money to defeat Prop 37, you might find some clues as to which food producers use GMO ingredients. Coca-Cola, Pepsi Co, Mars, Nestle, General Mills, Kraft Foods, Godiva, Heinz, Hershey, Ocean Spray, Campbell Soup. One might ask the question: what do these companies think they’ll lose if they become required to label GMO ingredients? Regardless of whether or not the proposition passes, it is important to take an active role in preventing further contamination of our food supply by GMO crops.